Women Together: Meet The Women of Filmhouse! Although each woman has the power inside her to be able to achieve all these things and more, they can also be dependent of her environment and the people around her. 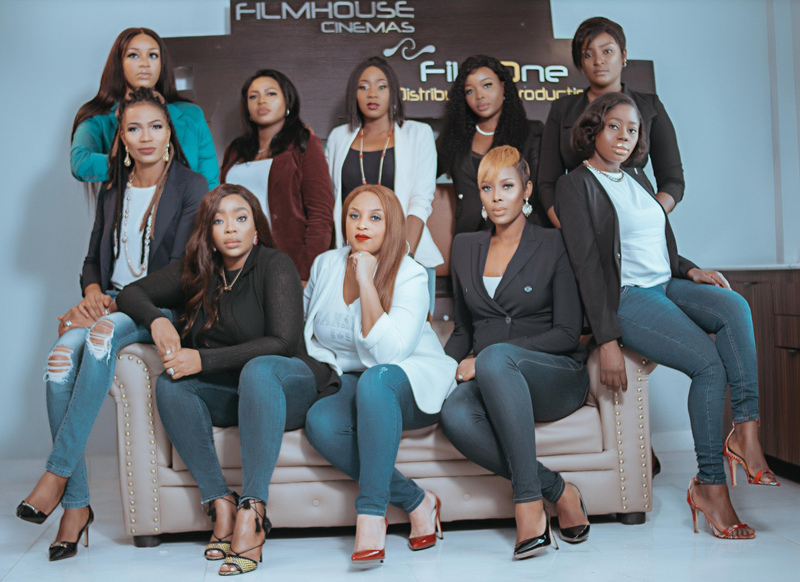 We admire and respect women who are visionaries, dogged, ambitious and would not settle for less so imagine our excitement when we found out that behind the scenes of the phenomenal brand that is “Filmhouse Cinemas” , are a group of Queens, working together to make things happen! Beyond Women’s month and International Women’s Day, we believe in celebrating women everyday! First because women are superheroes and secondly because…. why not?! As we dug deeper to get to know these women better, we realized that Filmhouse Cinemas also creates an environment that allow women easily create, nurture themselves and those around them as well as use the opportunity, to through their unique experiences, transform into the best they can be, not seen gender as an “impediment” …but rather, as an advantage. Talk about girl power! With phenomenal women maintaining the helms of leadership at various levels of the business, to working countless times with female movie executives; it is impossible to overlook how impactful these women are in spearheading ground breaking movie marketing campaigns, co-producing box office hits, human resource management and guest services to match international standards! The Women of Filmhouse has definitely inspired us to keep pushing through with our sisters holding down the forth because together, we can really achieve so much more! Meet the Women of Filmhouse who we will be getting to know, individually, over the course of the month! Lolu Desalu on building one of the biggest brands, Filmhouse and consistency; To an extent, consistency forms a major part of my Job description as it is an easy metric for performance to be measured by. However with in depth research we are able to guide our strategy. Determining who we are trying to reach dictates how we actually reach them. We are constantly driven by the feeling guests take away with each experience and this starts with the way Filmhouse Cinemas is positioned in your mind, before you even step in to any of our sites. Ozy Sammie Okposo on how her work has impacted the society positively; My work does have a rippling effect because we help create jobs and reduce unemployment in the society as we have sites in Lagos, Akure, Dugbe, Samonda, Benin, Port-Harcourt and Kano also our dealing across site helps with the sites in dealing with guest and giving good guest service and we are also driven by the need to continue discovering new and innovative ways of creating inspiring experiences, delivering world-class service and bringing the magic of cinema to life. This is a culture we are working on as people go to our cinemas to relax and let loose. Itohan Izugbokwe on proving herself as a woman in a male-dominated industry; Here’s always been the need to work extra hard to prove yourself as a woman in this male-dominated industry. I mean, I do the work, but sometimes you get reduced to just ‘being the pretty face.’ Nothing thrills me like shocking them with delivery. Stephanie Dan-Okafor on what she would say to her younger self; I would tell her to stop tracking the A’s. She should focus on finding ways to improve herself so as to gain competitive advantage. She should focus on loving herself and she should understand that it might seem to be only a man’s world, but it would be nothing without a woman or a girl. Tolu Senbor’s advise to females who hope to start a career in the cinema industry; Behind the lights, cameras, glitz and glam lies HARD WORK! Be open to all the opportunities and do not be afraid to ask for help. Mimi Bartels on Mentorship; Make that effort to find a mentor that has made a difference to you. She doesn’t have to be Oby Ezekwesili/Michelle Obama, she can be someone in your office, school, and church- just know you are never alone. Ladun Awobokun on the most challenging factor in the film industry; The non-availability and access to data, needed to provide bespoke services to customers. Our line of business relies heavily on understanding consumer behaviour, be it in terms of what sort of movie would the majority of cinema-goers favour or how best to communicate effectively to set target audience. Thankfully, with the advent of the Cinemas Exhibitors Association of Nigeria (CEAN) & Theatrical Distributors Association of Nigeria (TDAN) – both of which the management of Filmhouse group are active members, there is an opportunity and a growing level of structure in the industry, and major advancements, towards collating and mining much needed data. Tomi Ayeni on the most interesting part of her work; Every day I am faced with new set of challenges I think I cannot overcome, but when members of my team push me to act on those things, and I eventually overcome them it gives me an abundant sense of accomplishment which is so fantastic. The free tickets to shows and movies do not hurt either LOL. Odezi Onyeke on consistency on the job; The only way you can be successful in this line of work is through dedication and passion. I’m very passionate about what I do and this drives me to want to succeed more, also having a very supportive and understanding partner who is tuned with your goals plays a huge role in your success. Osho Vivian Olajumoke on what she does when she finds herself stuck in a rut of creativity; I usually take time out of my usual schedule, engage in activities to help de-stress and feel more refreshed which could include visiting somewhere new, time out with my friends taking a day trip or spending quality time relaxing. also a reminder and meditation of the big picture keeps my mind refreshed. ⟵Nigeria’s Sarah Inya Lawal selected for the Fortune – U.S. Department of State Global Women’s Mentoring Partnership!